Autumn is upon us. Time to get out and enjoy crisp days and the lovely fall foliage. We have a nice variety of activities to choose from in this schedule, so join us and have some fun in the great outdoors. A lot has happened since the last outings schedule was distributed. The membership voted on and approved, by a 52-2 margin, to change the Taconic Hiking Club's by-laws. The changes were ratified at the Board of Governors meeting in July and are now in effect. The most notable change for the majority of you will be we can now send official correspondence, like this schedule, to you via e-mail. Please contact Corresponding Secretary Sharon Bonk (sboqc@mindspring.com or 674-0042) if you would prefer to receive your outings schedule and other club information electronically. On a sad note, we lost Phil Fountain in an accident on July 29th. Phil was a past President of the club and one of its most dedicated and active members. We intend to formally recognize Phil's service to the club in the months ahead. One event is a memorial hike over Berlin Mountain on October 25. We'll keep you posted on others as they are finalized. In the meantime, we can all honor Phil's memory by enjoying the great outdoors and striving to make the world around us a better place. In that spirit, a special thank you to Susan Roberts for volunteering to take over the fall hikes Phil had scheduled in connection with Hudson Valley Community College. These outings have provided excellent exposure for the club to novice hikers. We'd love to see them continue. Please contact me (rjhydorn@lycos.com or 283-6056) if you are interested in assuming the ambassador's role. Lastly, I'd like to invite you all to the Annual Fall Banquet, which is being held on November 6 at Moscatiello's in Troy. The speaker will be club member Rich Vertigan, who will regale us with his biking expedition tales. The Kunjamuk is a beautiful winding stream up in the Adirondacks near Speculator. It will require some skill in frequently turning the boat but the reward will be seeing the beauty of nature up close. The paddle is approximately 10 miles round trip. Contact Etta for a meeting time and place. CONTACT: Etta Menges at 233-8310. LENGTH: Paddle distance approximately 10 miles. ROAD DISTANCE: About 150 miles round-trip. Bromley is known for its ski area in the winter, but there is also a hiking trail. There will be all new views from the top. Meet at the Park and Ride at the intersection of Routes 4 and 43 at 8:00 AM. LENGTH: Approximately 6 miles and 1400 feet of ascent. ROAD DISTANCE: 110 miles round trip. This is the second attempt at this trip. The bicycle trip is planned to the Poughkeepsie area where we will bike on the Hudson Valley Rail Trail, which connects to the bridge. We will cross over the bridge and visit the Farmer's Market, which begins at 3:00 PM at Pulaski Park in Poughkeepsie. Plan to bring a lunch and contact Mary for further information. CONTACT: Mary MacDonald at mmacdonald003@nycap.rr.com or 371-1293. ROAD DISTANCE: Around 200 miles round-trip. Co-sponsored by the Friends of Dyken Pond, the Dyken Pond Environmental Education Center and the Rensselear Land Trust. As part of the Hudson River Valley Ramble we will meet at Pineridge Cross Country Ski Area and take shuttles to the Pittstown State Forest and will hike south back to Pineridge. Participants can then set up a tent to camp for the night and enjoy an evening cooking, eating and sitting around the campfire. In the morning on Sunday we will continue our journey south to Garfield Road in Stephentown. There will be an option short hike to the summit of Turner Mountain. At the end of the day, we will be met by shuttles, and be brought back to Pineridge to pick up our cars. Cost is free, but pre-registration is required. CONTACT: Jim Bonsteel at jim@bonesteel.com or 794-9160.. LENGTH: We will be traveling approximately 15 miles each day. This will be a very strenuous hike with some off trail bushwhacking and significant elevation change. Participants must be in excellent physical condition. ROAD DISTANCE: Your house to Pineridge. This is a new trail on Berkshire Natural Resources Council property and takes us to Spruce Hill (2566’) in Savoy Mountain State Forest. We will have 360 views from the top and a chance of viewing migrating hawks. We will meet at Rte 7, Brunswick Park and Ride. Call Sharon for further information. CONTACT: Sharon Bonk at sboqc@mindspring.com or 674-0042. LENGTH: 6 miles round-trip with an elevation gain of 700 feet. We will travel a short section from Upper Cold River Road in the shadow of Killington Peak down to VT Route 103. Highlights include views from Clarendon Lookout and a short side trip at the end down into Clarendon Gorge. LENGTH: 5.4 miles and approximately 350 feet of ascent and 1200 feet of descent. ROAD DISTANCE: 155 miles round-trip. Harriman Park is located 50 miles north of NYC and is a little over 2 hours drive from the Capital District. Explore Harriman’s hills and ridges when the park is quiet during midweek. Options include parts of the Long Path, AT, or other park trails. Cool off in Lake Tirorati after a day of hiking. Stay overnight Monday (also possible to arrive on Sunday with leader) at Camp Thendara as guests of the Thendara Mountain Club (small fee, plus shared food cost). RESERVE by Monday, September 12. CONTACT: Sharon Bonk, sboqc@mindspring.com or 674-0042.
presence of Natty Bumppo and Chingachgook. This is a good quiet time with changing foliage to explore at least a portion of this outstanding lake. The paddle will be less than 12 miles. We will meet by the south entrance to J C Penny’s at Crossgates Mall at 8 A.M.. LENGTH: Paddle Distance 12 miles. ROAD DISTANCE: 140 miles round-trip. Begin on a gravel road with mountain views. Go past a beaver meadow, over a little hemlock knoll, and along a lovely pond to a lean-to. Expect wet spots, a minor stream crossing and very little climbing. We will leave from Exit 9 Park & Ride on Fire Road. Call Dale for further information. CONTACT: Dale Blanchett at 273-4262. LENGTH: 4.2 miles round-trip. An optional visit to Black Mountain Pond would add 2.4 miles and 200 feet of ascent. ROAD DISTANCE: 175 miles round-trip. Trails ascend gradually to Bass Lake, Berrymill Pond and Moose Mountain Pond with some rocky areas. We will hike along an outlet brook, a marshy area and see rocky promontories across a lake. We will leave from Exit 9 Park & Ride on Fire Road. Call Dale for further information. LENGTH: 7 – 8 miles with an ascent of 500 to 600 feet. ROAD DISTANCE: 200 miles round-trip. We’ll hike a central portion of the Taconic Crest Trail, going up Mattison Hollow past its scenic waterfalls, along the TCT for about 3 miles, and down Robinson Hollow. We will meet at Berlin High School parking lot at 9 A.M. Bring lunch and water. Register in advance. CONTACT: Nick Conrad at nbconrad@msn.com or 279-1963. LENGTH: About 7 miles, with about 1000 feet ascent and descent. ROAD DISTANCE: Just a few miles. We will hike some new trails visiting Burnett Pond, Tannery Brook Falls, Balanced Rock and perhaps, Borden Mountain. Contact Willard for further information. CONTACT: Willard Hoyt at willardh2@juno.com or 732-2390. LENGTH:: 4.5 miles with an ascent of 300 feet. 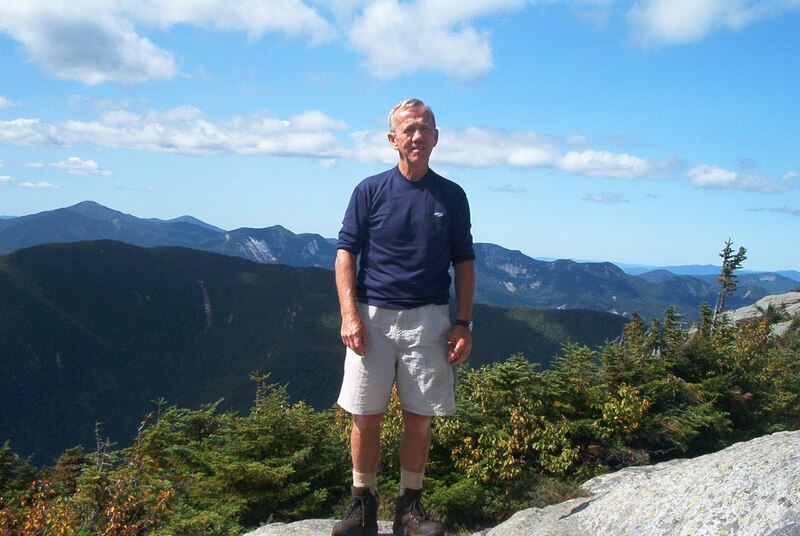 This is one of Phil’s HVCC hikes for Creative Retirement. We will hike along Long Pond Road via the Fire Tower Trail to the restored Dickinson Fire Tower. We will have lunch at the summit and allow small groups to climb the tower and enjoy the vast panoramic scenery. We return to our cars via the Chet Bell Trail. We will meet at the Wal-Mart (south parking area) in Brunswick off Route 7 at 9:30AM and drive to Grafton Lakes State Park’s winter entrance. Please be sure to call Susan to offer your help with this hike or to let her know you will be joining her. LENGTH: Approximately 2.5 miles round-trip with an ascent of 300 feet. ROAD DISTANCE: 25 miles round-trip. Ride approximately 20 miles from Glens Falls to Lake George and back. Optional extension will add Hudson Falls Feeder Canal path (unpaved). Finish the day with a stop at Rock Hill Bakery in downtown Glens Falls. We will meet at I 87, Exit 9 Park and Ride at 9AM and caravan to the Glens Falls starting point. CONTACT: Sharon Bonk, sboqc@mindspring.com, or 674-0042. LENGTH: 20 or more miles. This fire tower mountain is located near Blue Mountain Lake and the Adirondack Museum. There are excellent views from the fire tower.. If time permits we will visit the museum (look for coupons/discounts). Travel time to trailhead is about 1 ¾ hours. Contact Mary MacDonald for further information. CONTACT: Mary MacDonald at mmacdonald003@nycap.rr.com. Or 518-371-1293. LENGTH: Round trip is 4 miles. ROAD DISTANCE: Approximately 190 miles round-trip. The Hyde Park trail system includes 16 miles of parks and historic sites. We will briskly walk the generally moderate trails (with some hills) in Mills Norrie State Park (Hudson River views) and the interconnected trails of the Roosevelt woods and farm sites. Since the hike will cover 10 miles, there is no plan to visit the historic homes that these trails entwine. This mountain in the southern Adirondacks has great views of the High Peaks. There should also be good fall color on Columbus Day. Meet at Northway Exit 9 Park and Ride, in Clifton Park at 8:00AM. CONTACT: Katie Henrikson at khenriks@nycap.rr.com or 39-4308. ROAD DISTANCE: Approximately 200 miles round trip. This will be a easy stroll along the grounds of Frederic Church’s home and through the landscapes of pond, gardens, and woods created by him, in the 1860’s and 1870’s. We will meet at the Schodack Center off Route 9 and 20, from I 90 Exit 11 East at 9:30 A.M. Please be sure to call Susan to offer your help with this hike or to let her know you will be joining her. LENGTH: To be determined by the group. ROAD DISTANCE: 44 miles round-trip. This hike overlaps two sections (6 & 7) of the Appalachian Trail through Clarence Fahnestock State Park. There will be views from Shenandoah Mt and of Canopus Lake. We will continue south past an old sunken mine. LENGTH: 8.3 miles and approximately 500 feet ascent, 600 feet decent. ROAD DISTANCE: 180 miles round-trip. We will start from the Rosenberg Center, the Williams College’s research base. The hike will consist of two loops that form a figure eight. We will also go a short distance off the trail to find a canopy platform 75 feet above us in a tree. We will meet at the Wal-Mart (south parking area) in Brunswick off Route 7 at 9:30 A.M. Please be sure to call Susan to offer your help with this hike or to let her know you will be joining her. LENGTH: 4.3 miles round-trip and a elevation gain of about 450 feet. A short uphill walk brings us to the historic quarry site with its drill, trucks, and derricks. The Becket Land Trust has put in interpretive signs and marked trails on roads that lead past smaller quarries. We will leave from Schodack Park & Ride, Exit 11E. Call Dale for further information. LENGTH: 3 miles with an ascent of 250. ROAD DISTANCE: 112 miles round-trip. We wanted to pay tribute to Phil’s devotion to the Taconic Crest Trail and in particular his love of this section. This joint ADK and Taconic Hiking Club hike will celebrate Phil’s trail work on the Crest Trail, his leadership over many outings on these paths, and his joy in the creation and documentation of this ridge and its access points. We’ll want to toast and hail Phil from the 360° view on Berlin Mtn. We’ll spot cars at the trailhead in Southeast Hollow and start from Petersburg Pass, heading south up over Berlin Mountain (2818’) and continuing to the Southeast Hollow access trail. One option hikers have is to do a shorter segment out and back, hiking just Berlin Mountain and returning to Petersburg Pass. The whole distance and elevation to SE Hollow is 7 miles and about 1300’ vertical, and to do just Berlin Mtn. would be 5.5 miles RT and 1000’ vertical. These are short days, so meet Virginia at the Defreestville Park and Ride at 7:30 A.M. and Karen at Cumberland Farms at the intersection of Rtes. 22 and 43 in Stephentown at 8 A.M. We’ll need time to spot cars. CONTACTS: Karen Ross at kcross@aol.com or 794-7474 or Virginia Traver at virginiabt28@hotmail.com or 322-0950. LENGTH: 5.5 to 7 miles with between 1000 to 1300 feet of ascent. ROAD DISTANCE: 75 miles round-trip. Plan to meet at the boat launch on the Schodack Creek side at Schodack Island State Park. We’ll paddle around the island and into the river, taking advantage of the morning high tide. Plan to be in the water and ready to go by 9:00AM. We will paddle and explore until about 4:00 PM. Best for touring kayaks, but strong canoers are welcome. LENGTH: Contact David for further information. LENGTH: Summit at 4175 feet with an ascent 2825 feet. 8.38 miles total round-trip. Plan an early start. ROAD DISTANCE: Approximately 200 miles round-trip. This is a co-hike with Albany ADK. We’ll hike in from the Rt. 8 trailhead to the lean to and finally to the ponds. Activities will include trail work (brushing out, water bars, etc.) and trash removal. Nothing is going to be difficult or physically demanding, but this is a work trip. This is your chance to join the Wilderness Committee on a work trip into the Chapter’s adopted wilderness area and give something back to the mountains. .
Sunday, November 6: THC Annual Fall Banquet, 12:00 P.M.
Club member, Rich Vertigan will be our guest speaker. He will present "Biking Across America" pictures of his bike trip from the East Coast to the West Coast. NOTE: This is the first day of Daylight Standard Time. Make sure wherever you go today you aren’t an hour late. Black Dome is the center of the three Catskill Mountains that can be seen from various high points around the capital district. We will go up the Black Dome trail from the Big Hollow Rd parking lot, and return the same way. A side trip to Blackhead is possible if the group wishes. Meet at 8:00AM at the Delmar Route 32 Park and Ride. LENGTH: 4.0 or 4.5 miles round-trip with1780 feet of ascent. ROAD DISTANCE: Approximately 80 miles round trip. This is a co-hike with Albany ADK. We’ll cover the section of the TCT from Robinson Hollow to Mattison Hollow. This will involve blow down removal and drainage work. Contact David for further information. I'm missing a short section of the Appalachian Trail in Connecticut from Bull's Bridge to the state line on Hoyt Road. We will hike up and over Ten-Mile Hill and along the valley where the Ten-Mile and Housatonic Rivers meet. LENGTH: 4.1 miles and approximately 500 feet ascent with 600 feet of descent. ROAD DISTANCE: 155 miles round trip. Will pick a scenic southern Berkshire hike. Plenty of good options as the foliage begins to fade and drop. Contact leader for details as date approaches. LENGTH: Modest distance, perhaps 5+ miles depending on the group. ROAD DISTANCE: Approximately 140-150 mile round trip depending on the destination.